When the temperatures start to drop one of the things I struggle with is getting in the green smoothies. I simply don’t feel like a cold, raw, green drink, and especially not first thing in the morning. One option for getting a daily dose of liquid greens in is of course soup, like this green soup recipe here. However, green soup for breakfast doesn’t have quite the same appeal as a green smoothie, and hot green soup is obviously not raw so it doesn’t quite provide the same benefits. Naturally this got me thinking. There must be a way to make a green smoothie that’s deliciously warm (say like apple pie), full of protein and healthy plant based fats to keep you going for the morning, and yet still raw so you get all the benefits of the ingredients being in their raw unprocessed state, as you would a cold green smoothie. Turns out there are two ways to create a warm smoothie and both are equally delicious! The first option I’ve given below involves heating the apple (aka apple pie! ), so you’re sacrificing the rawness of the apple, but you get a lovely warm smoothie. The second option keeps all the ingredients raw, and you simply keep blending until the smoothie gently heats from the blender blades. So what’s the big deal about raw you might ask? Raw ingredients retain all their nutrients in their original, unprocessed state. All the antioxidants, phytonutrients, vitamins and minerals remain intact, along with the foods inherent living enzymes which are often killed by heat. These living enzymes assist in the absorption of the nutrients which also helps to take some of the load off your digestive system. And by eating raw food in the form of a smoothie, where the blender blades start the digestion process for you, you can maximise your nutrient intake in a very easy way. It’s entirely up to you which method you choose. I’ve also given the option to use soaked nuts versus raw nut butter. Again soaked nuts are essentially ‘activated’ which is the simple process of soaking them in water to remove the natural inhibitor enzymes on their skins making them more digestible. If you’re short on time I’ve also given the option of using raw nut butter (to keep the smoothie raw), and failing that, standard almond or cashew butter will also work but they’re probably not raw as the nuts have often been lightly roasted in order to grind them easier and for flavour. This warm apple pie smoothie can either be served straight up, layered with coconut yoghurt, or as a smoothie bowl with it’s lovely thick spoonable texture. As a smoothie bowl you can then swirl in some yoghurt, sprinkle some cinnamon and add whatever nuts or seeds, raw cacao nibs, beetroot powder, raw chocolate, or really anything to your liking! Enjoy! 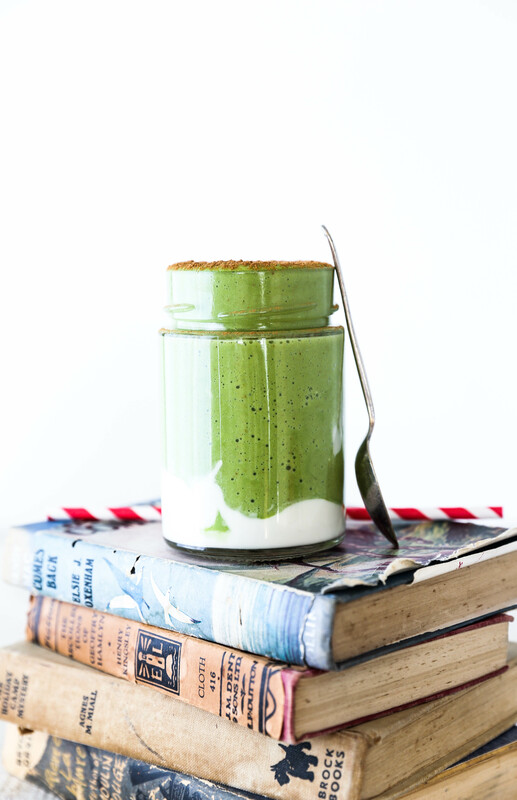 Do you find it hard to drink green smoothies when it’s cold outside? Do you switch to soups? If using whole raw nuts prep ahead by soaking them the day before. Place nuts in a bowl, cover with filtered water and stand at room temperature 4 to 6 hours for cashews and 10 to 12 (i.e. overnight) for almonds. Drain, rinse well, then store in the fridge in a sealed container until needed. Rinse again before using. To cook the apple, peel, core and cut the apple into small pieces. Place in a small pan with 1/4 cup of water, place the lid on and set over medium high heat. Leave the apple to steam for a couple of minutes and then remove from heat. 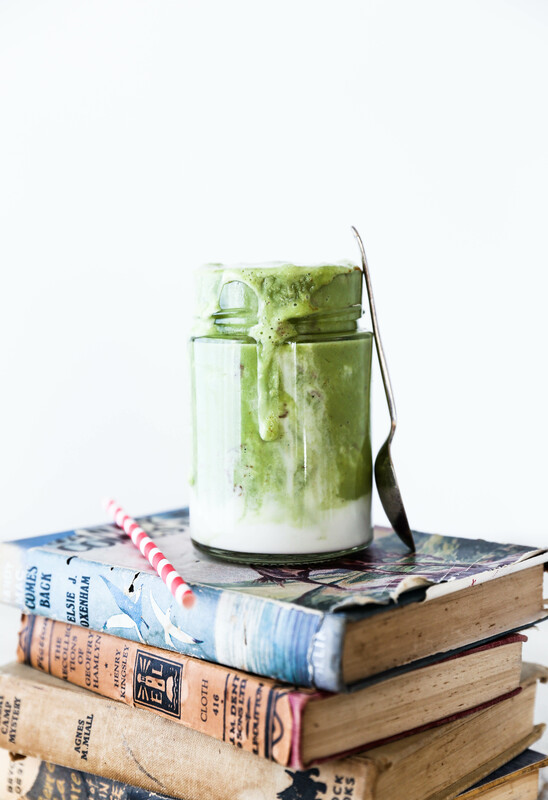 You don’t need the apple to be fully cooked (although that’s fine too), ideally just enough heat to warm it through as this will provide the warmth for the smoothie. While the apple is still warm place it and the remaining ingredients into a high speed blender and blend until smooth. 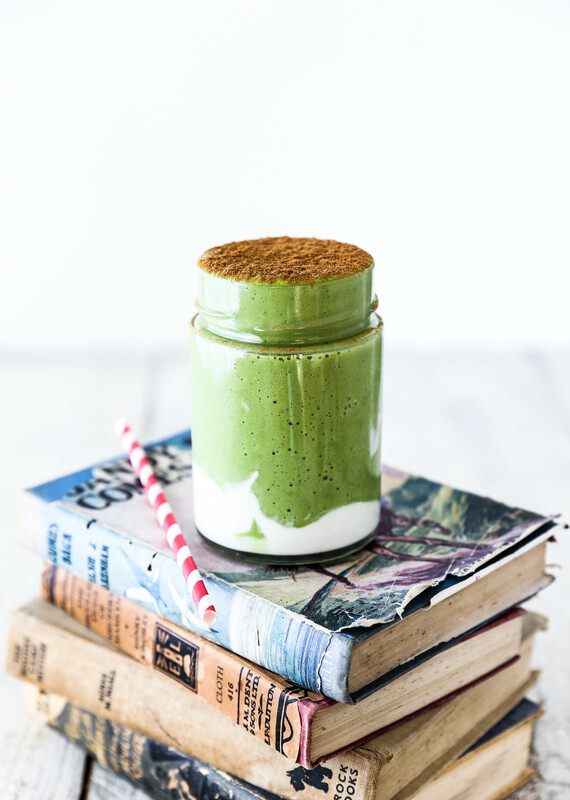 Serve the smoothie straight up in a glass with a sprinkle of cinnamon, or spoon some coconut yoghurt into the bottom of a glass jar, pour the smoothie on top and sprinkle with cinnamon. Serve warm. Take all the smoothie ingredients out of the fridge at least half an hour beforehand to allow them to come to room temperature. Place all the ingredients into a high speed blender and blend on high until smooth. To warm up the smoothie, keep the blender going for up to 5 minutes which should nicely warm the smoothie but still keep it under 46ºC i.e. raw.